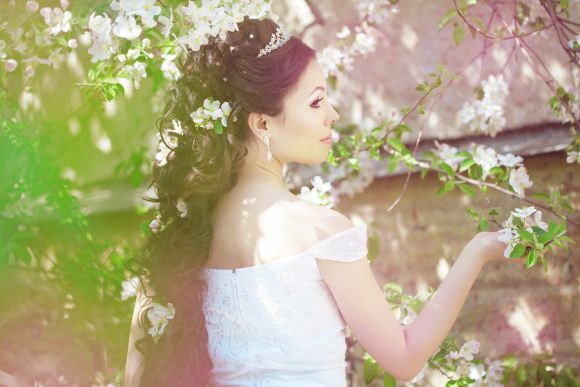 No wedding hairstyle near Marlton is complete without the perfect wedding makeup. Whether you use a professional makeup artist or plan on applying makeup yourself, the right makeup can highlight wedding hairstyles from updos to short haircuts. There are a few tips to keep in mind for the best wedding makeup style. Just as you would do a trial run for your hairstyle, you should do a trial run of your wedding makeup. 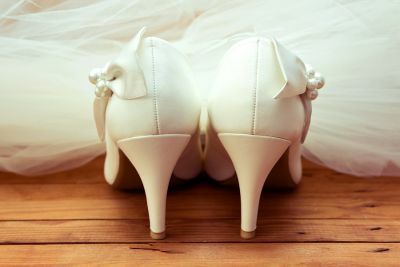 To avoid any adverse skin reactions, do not use anything on your wedding day that you have not previously worn. Wedding makeup should be natural and use a neutral color palette. Wear waterproof mascara to prevent any tears of joy turning into black circles underneath your eyes. Wear sunscreen or foundation with SPF, especially if your wedding is outdoors or if there are outdoor photographs. Pick a shade of lipstick that complements your skin tone, and have it handy throughout the day and night for any needed touch-ups.